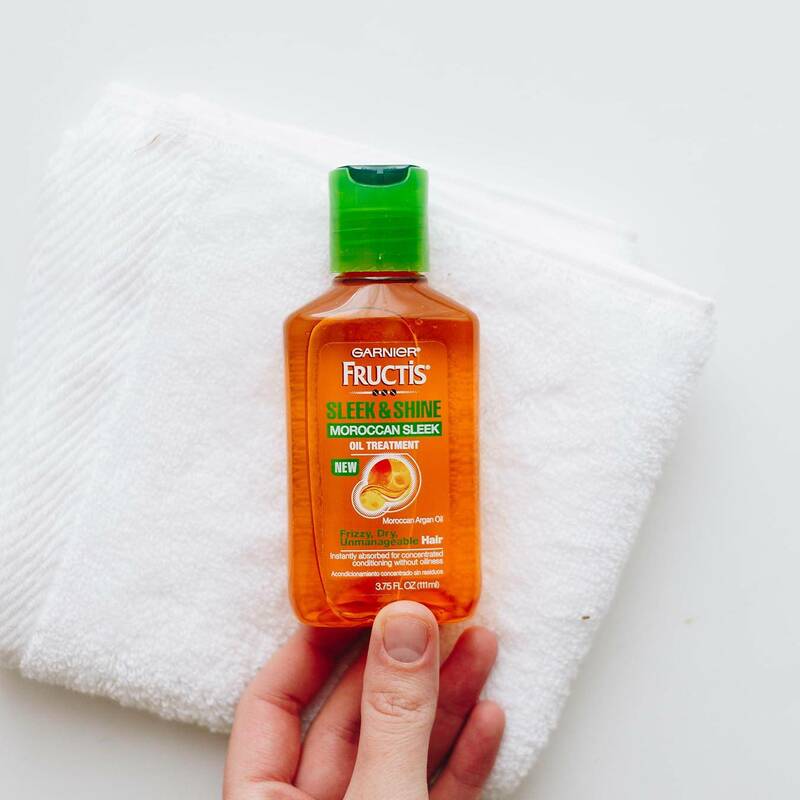 With Argan Oil from Morocco, Fructis Sleek & Shine Moroccan Sleek Oil Treatment is instantly absorbed, delivering concentrated conditioning for strand-by-strand softness, shine, easy smooth styling and frizz control without an oily residue. 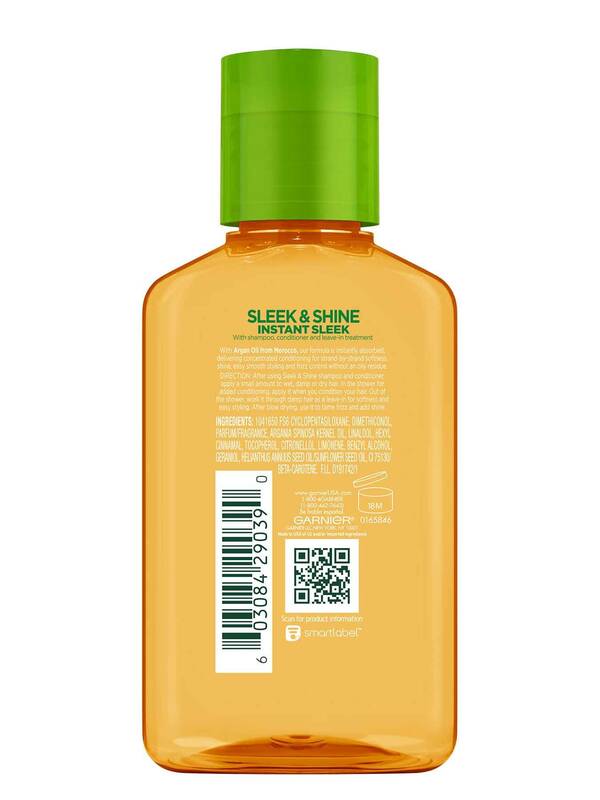 After using Sleek & Shine shampoo and conditioner, apply a small amount to wet, damp or dry hair. In the shower for added conditioning, apply it when you condition your hair. Out of the shower, work it through damp hair as a leave-in for softness and easy styling. After blow drying, use it to tame frizz and add shine. Rated 5 out of 5 by Syd18 from Great for thick curly frizzy hair I've been using this for about a month or two now and love it. Smooths my hair and helps define curls. Also helps with crazy baby hairs. Rated 5 out of 5 by dilbert from love it love it love it i love the fragrance which is not overpowering. love the way it makes my hair feel and totally controls fly-aways, frizzies. my hair is colored and dried out and needed a lot of help and this product delivered! i have wavy hair but it's not curly....this product enhances the waves and brings it back to life! it feels lighter than most oil-based products. it makes my hands feel fabulous after i apply to my hair....my hands need the extra moisture and it's not sticky....just silky and soothing! love it!! Rated 5 out of 5 by Ddgirlpanic from Best for curly and straight hair!!! One of my daughters has very curly hair. This product is a miracle worker on her hair! When I use a little in her hair, it makes it shine and gets rid of the frizz. It helps her curls become individual spirals on their own. Lasts all day!! My other daughter has frizzy straight hair. It helps tame the frizz and (in her words) “not puffy any more”. It does tend to make her hair look oily at first, but within 30 minutes that look is gone. So we put it in her hair when she gets out of the shower or first thing in the morning to give the product time to settle in her hair. Rated 5 out of 5 by rachelkoch109 from Crucial to my post-shower ritual So...random fact about me: I try to shower every other night. After I shower, I run this oil through my hair (a little goes a long way), blow dry, and wake up the next morning with softer, shinier hair. Rated 5 out of 5 by Teauna10 from Absolutely love! I've been using this for about 6 months and my hair has never looked so good! I had my dark hair lightened last year and the process made my hair so dry and dead but every night after I shower I put this on before I go to bed and my hair looks great the next morning and it doesn't leave it looking oily at all. And it smells awesome which is always a plus! Rated 5 out of 5 by AnnaW from I like this I like to put some oil on the ends of my hair after washing it. My hair is really dry and frizzy, and this product helps. Rated 4 out of 5 by nmuniz687 from Hair Transformation This campaign could not have come at a better time. My hair had become unmanageable. I have wavy/curly hair which can be very frizzy and very dry most of the time. I was a skeptical because some oils can leave your hair looking greasy. I have used this product as even a leave in ( with no greasy texture!) and before hair styling since I got it and have been impressed with how light weight it is, how it has extremely tamed my frizz (even on rainy days) and made my hair soft and healthy again. I am making it a part of my regular hair routine. Rated 5 out of 5 by vrsjuly23 from My hair is flawless I’ve always had dry and unmanageable hair. I struggle incredibly with split ends and my whole head ends up looking frizzy and fried. 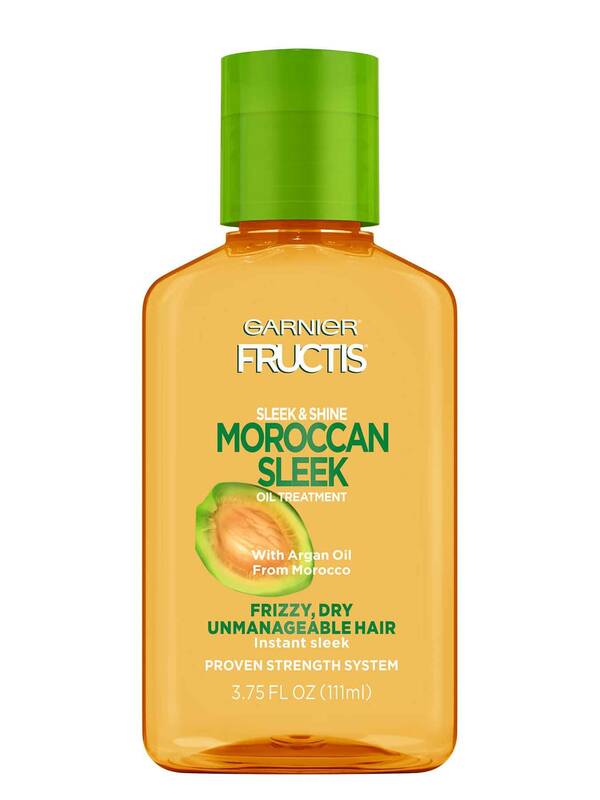 The Garnier Frictis Sleek & Shine Moroccan Sleek Oil Treatment has done wonders for my hair. I finally have the shiny and straight look I’ve always desired. Not only does my hair shine all day but it smells and feels amazing.